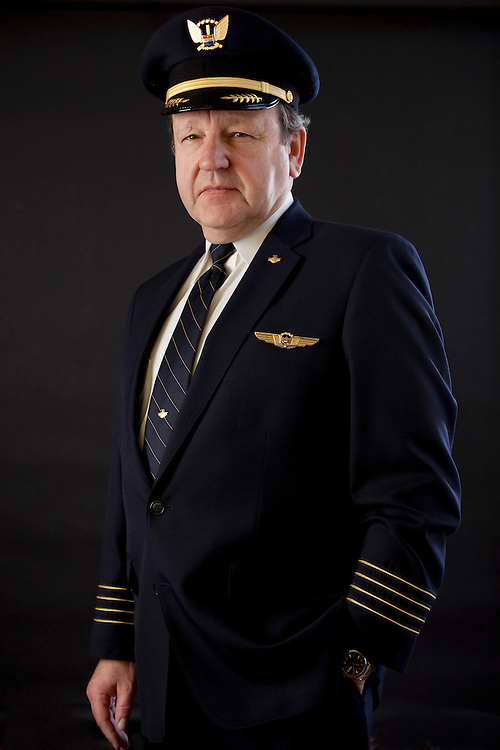 Portrait of Captain Denny Fitch, the off-duty DC-10 training captain who helped pilot United Airlines Flight 232 which crash landed in Sioux City, Iowa in 1989. All hydraulic controls on the plane were lost due to catastrophic failure in one of the engines. Fitch, traveling as a passenger, offered to assist Captain Al Haynes and crew fly the plane to Sioux City using differential throttle adjustment, the longest time aloft without flight controls. 185 out of the 296 people on-board survived the crash landing.